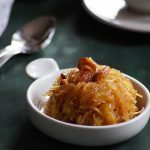 Semiya Pineapple Kesari Recipe – Indian Style Dessert made with vermicelli, pineapple, saffron and nuts. We usually make Semiya Kesari and Pineapple Kesari, but I have created a new recipe combining those two flavors. 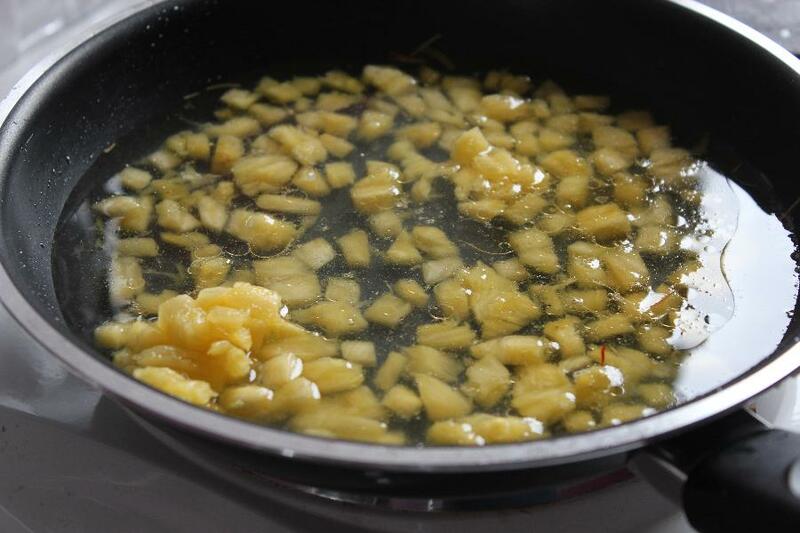 This recipe is very quick to make and needs less ghee / clarified butter. I have used saffron to make this halwa more flavorful and colorful. Soak saffron in 2 tablespoons of warm water and keep it aside. Heat ghee in a pan and fry the cashews until golden color. Then add the raisins and fry until plumps up. Take them out of the pan and set aside. 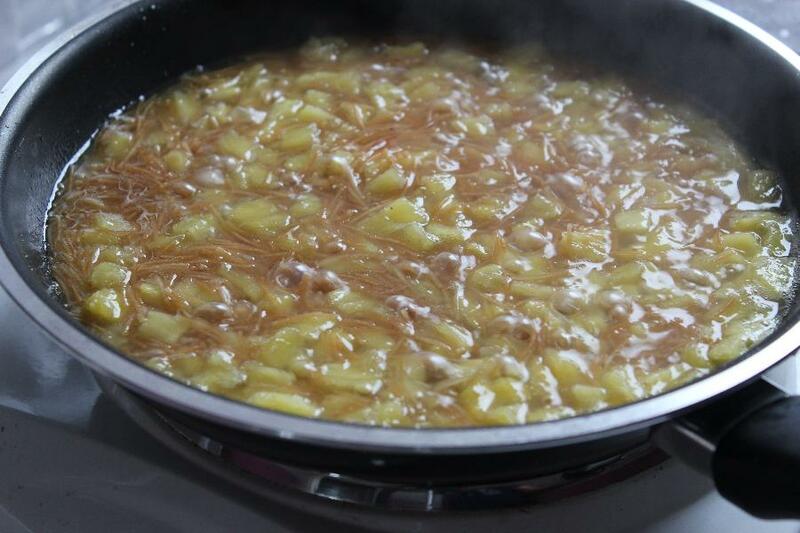 In the same ghee, add the vermicelli and roast over a low flame until golden color. Remove from the pan and set aside. 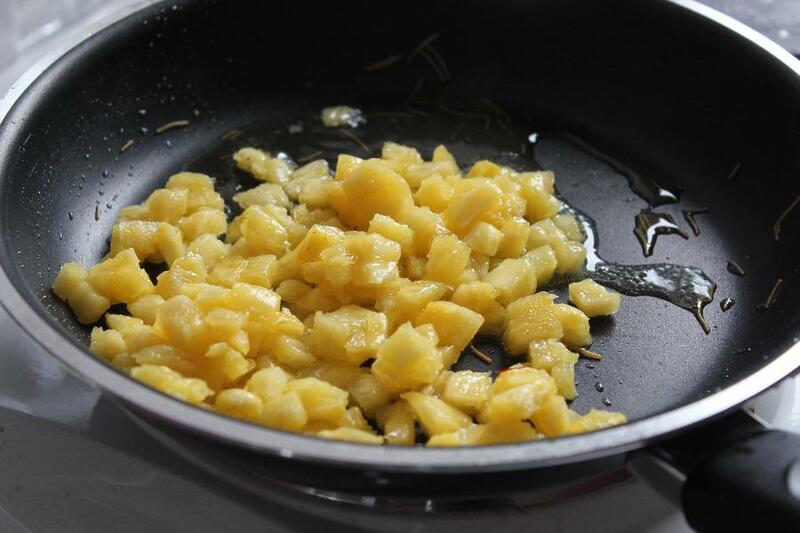 In the same pan, add the chopped pineapple and water. Bring water to a rolling boil. Add the roasted vermicelli and combine. Cover and cook over a low flame for about 6-7 minutes or until the vermicelli is cooked. Give it a stir and add the sugar and soaked saffron water. Mix until well combined. Let it cook for 5 minutes or until the halwa is thick. Add the roasted nuts and cardamom powder and combine. Make sure you cook the vermicelli or semiya well. 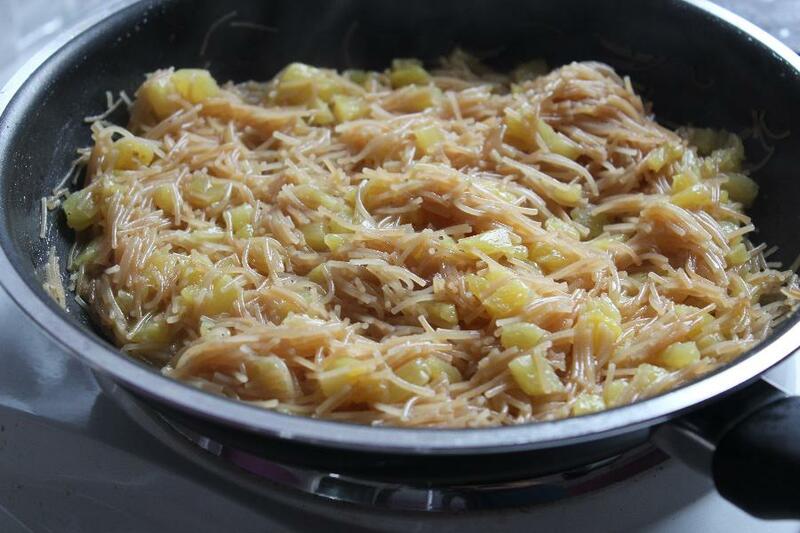 If the vermicelli is not fully cooked before adding the sugar, the texture of the halwa will be chewy. This is a semi-dry halwa. Use another 1/4th cup of water if want it to be little loose. Saffron will give the nice flavor and color to the halwa. You can skip if you don't want. Soak a big pinch of saffron in 2 tablespoons of warm water and keep it aside. Heat two tablespoons of ghee in a pan. 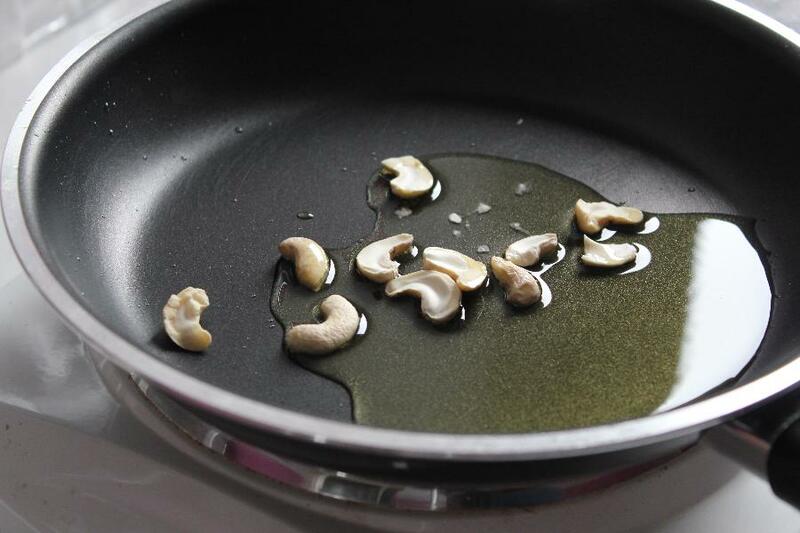 Add and fry the cashew nuts until light golden color. When the cashews are light golden color, add the raisins and fry until plumps up. Take them out of the pan and set aside. 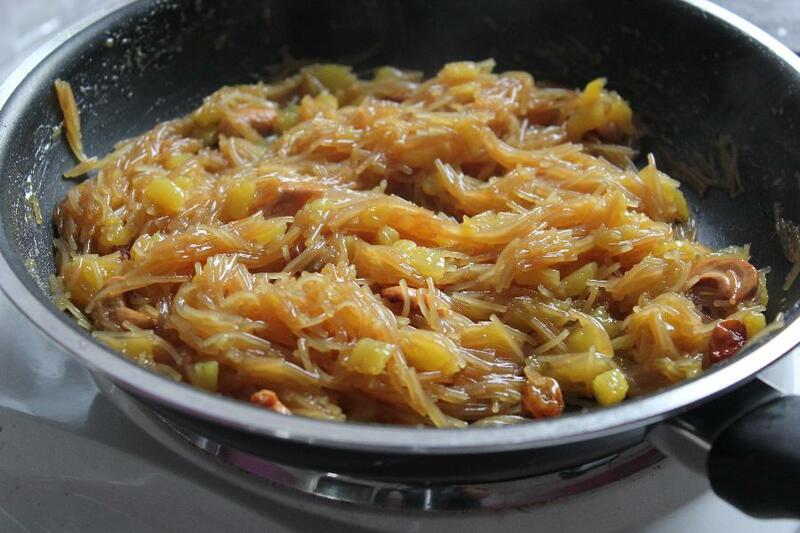 In the same ghee, add the vermicelli and roast over a low flame. Fry continuously to roast them evenly. 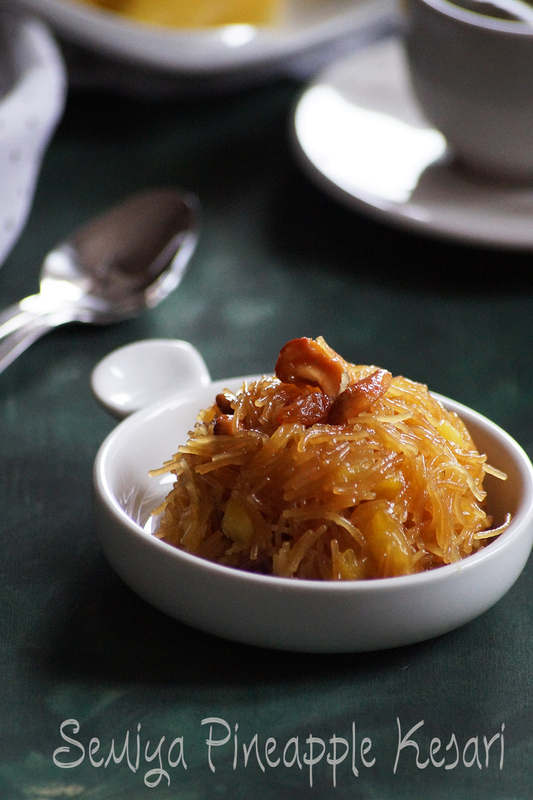 When the vermicelli is golden color, transfer them to a plate and set aside. 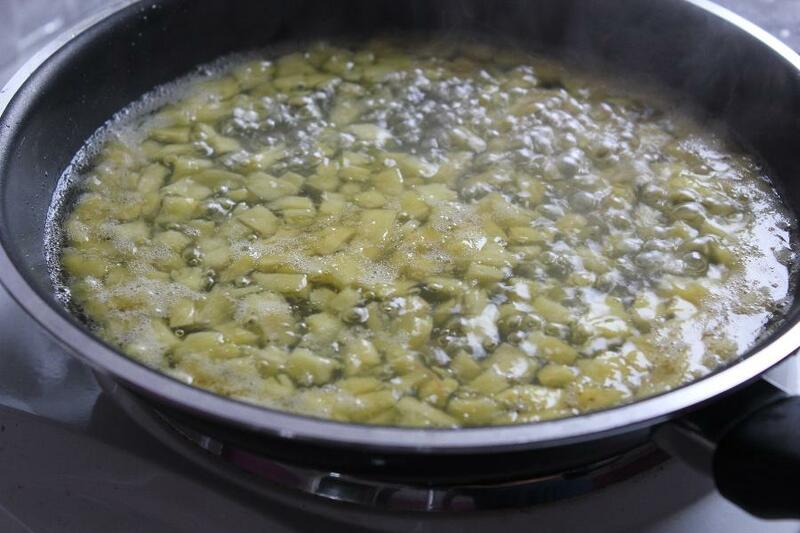 In the same pan, add the finely chopped pineapple and water. Bring the water to a rolling boil over the medium flame. 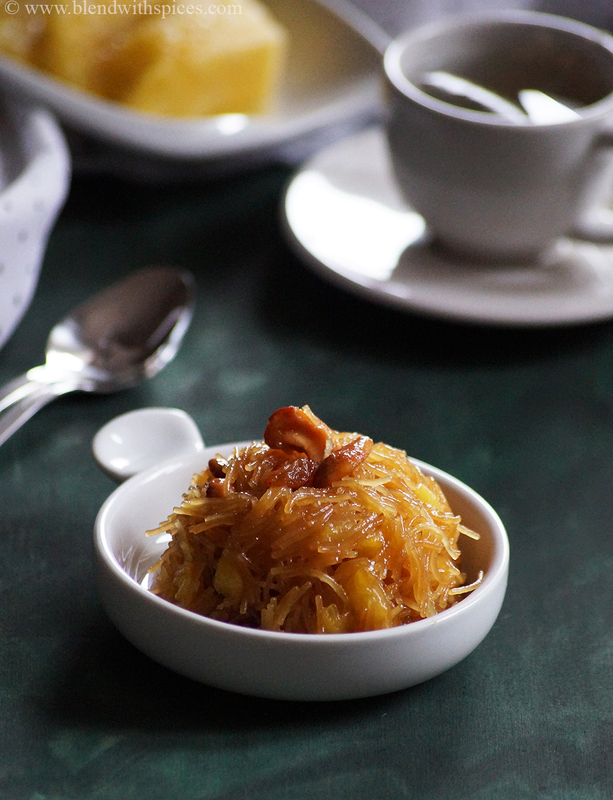 Wait for the water to boil thoroughly before adding the roasted vermicelli to make the halwa soft. Reduce the flame to low and add the roasted vermicelli to the boiling water. 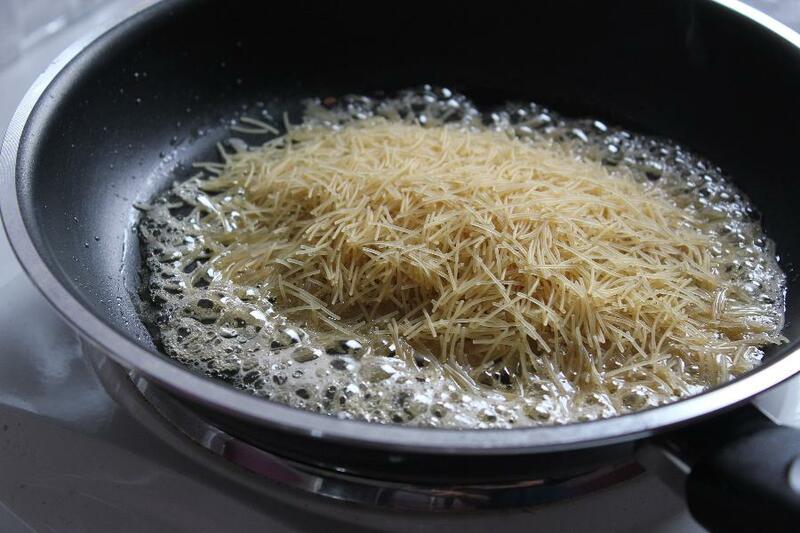 Cover the pan with a lid and cook over a low flame for about 6-7 minutes or until the vermicelli is fully cooked. 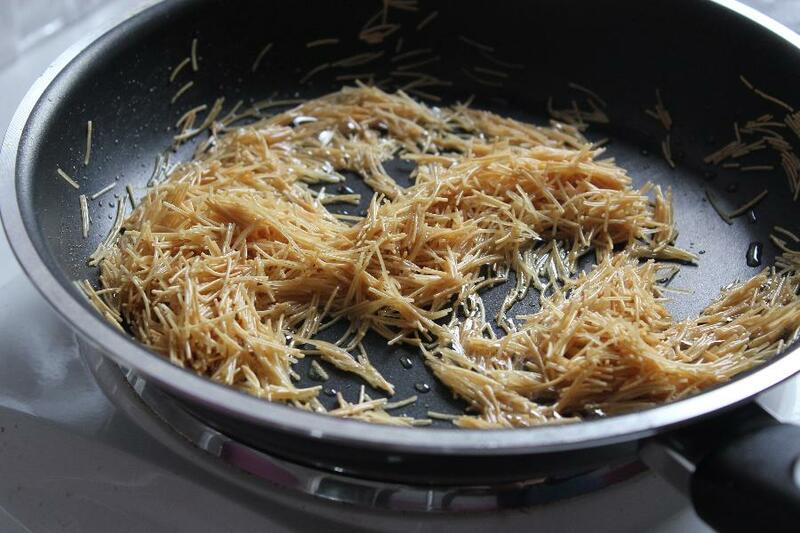 When the vermicelli is cooked, give it a quick stir and add the vermicelli and soaked saffron water. 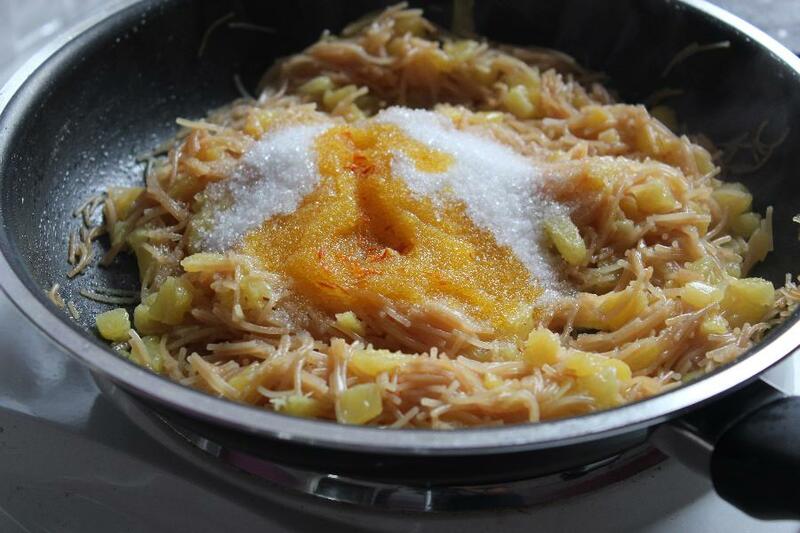 Make sure you cook the vermicelli or semiya well before adding sugar. 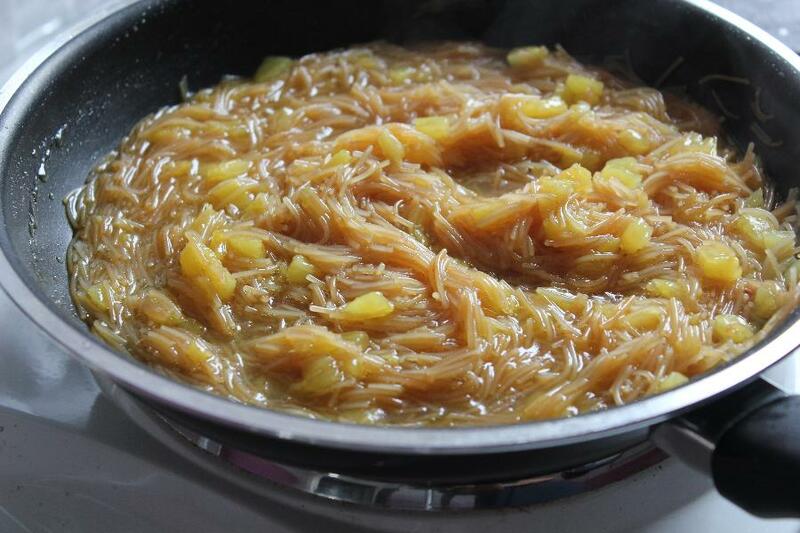 If the vermicelli is not fully cooked before adding the sugar, the texture of the halwa will be chewy. Mix everything until well combined. Let it cook for about 5 minutes or until the halwa is thick. When the halwa is thick, add the roasted nuts and cardamom powder(if using) and mix well. 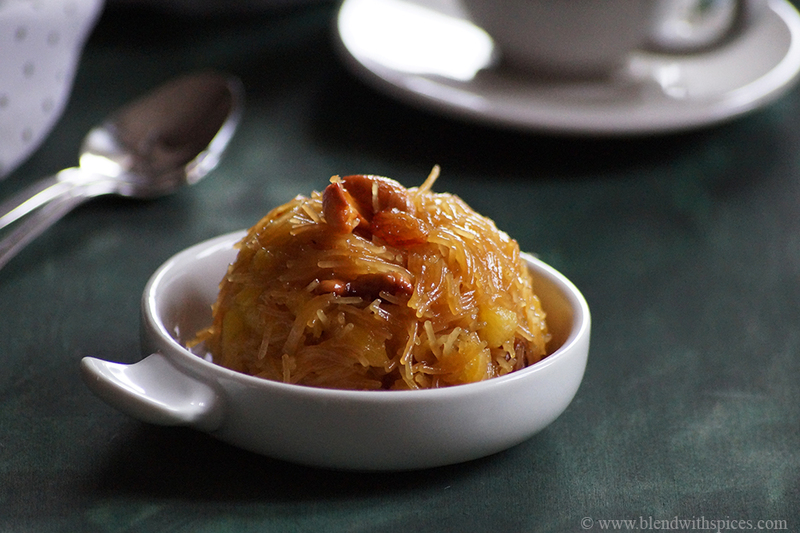 The pineapple semiya kesari sounds really delicious and something I would really like!